Human Resource Managers have numberless areas to evaluate ranging from HR training to performance appraisal to lining up the professionals for interviews. HR evaluation forms not only record the activities but also evaluate them in the right sense. There are many kinds of HR evaluation forms such as HR Interview evaluation, evaluation feedback form, performance evaluation form, etc. Are you composing HR evaluation forms both day and night? Then free yourself from that rude and rudimentary process. This article offers a bundle of free HR evaluation form templates that help you meet your Human Resource requirements in a convenient way. 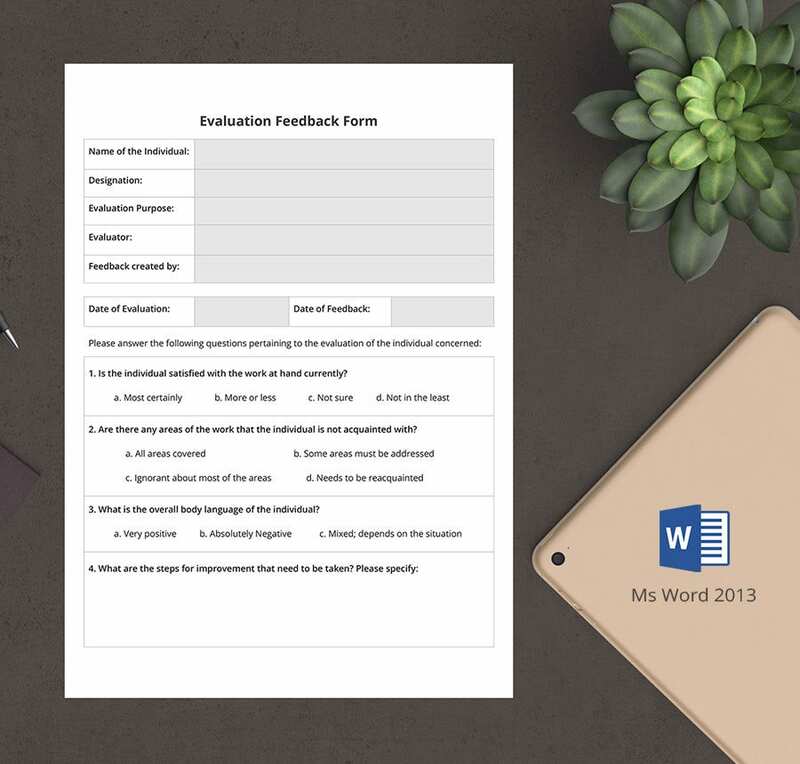 Take this Evaluation Feedback Form for performance reviews and staff appraisals. The easily fillable with multiple choice questions lessen your pen job to a great extent. Now it is just a matter of a few checks and unchecks. It’s an essential duty of an HR to provide with the suitable interview evaluation forms during the time of interviews in an any organization. This form is capable enough to address all your requirements as far as interview evaluation is concerned. The one pager is simple and just for the last minute rushes. Are you about to render induction training to your new employees? Stop investing time on visiting another website. Then this HR Training Evaluation Form is reasonably designed for that purpose. 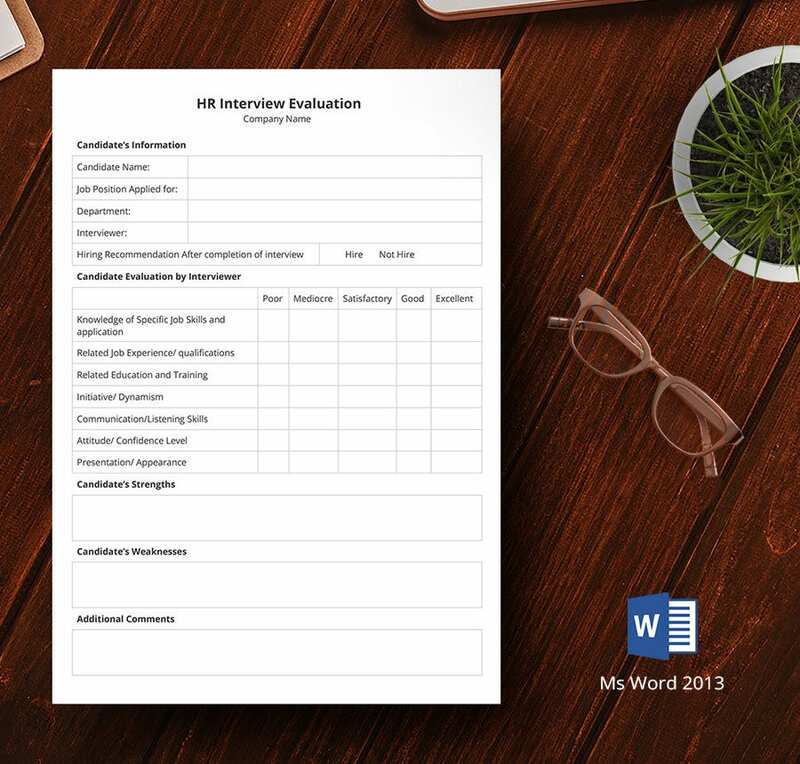 Come to meet the HR Interview Evaluation form. While the first form in this section is meant for any interview in the organization, this particular piece is for HR Interviews. What all can be included in a job interview evaluation form? Probably nothing to this existing Job Interview Evaluation Form. The form is so easy and ready-made that the filling it up won’t take you more than 5 minutes, provided everything is ready with you. How are you going to evaluate the activities in a training session? An activity evaluation form best evaluates the participants’ performance. There wouldn’t be even one question remaining unmentioned from the interviewer’s perspective. > How to use these Templates? As the image logo suggest, all of the templates can be opened and edited in Microsoft Word or any other application that supports Word, which makes the whole process easy even for primary users. Save it with an appropriate name. The idea is to list out the top HR evaluation forms. One of the advantages of the forms is that they don’t limit you to grading and scoring. You can even mention your observations if any, under the comments section. Once you run the search within the bundle, you will get matched to a one or a few samples. These templates will be shipped out for free of cost. The print-ready templates are the gems of both worlds, online and offline. 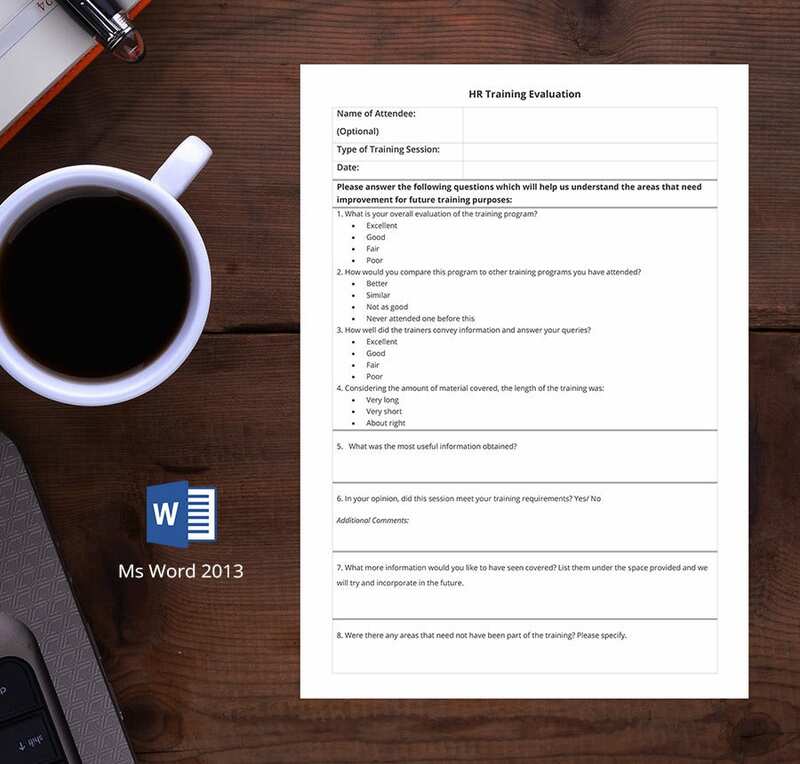 You can easily make a PDF out of these word documents. Also, you can make an attempt to convert or ‘Save as’ these forms into other formats that are compatible with Word.